The Fall Migration (September - November). 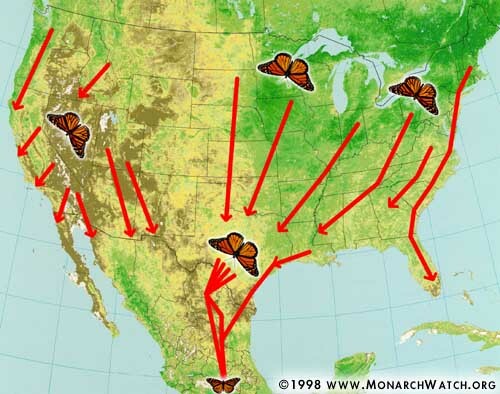 This figure is an interpretation of the routes taken by Monarchs during the Fall migration. The pathways are based on tag recoveries and observations of Migrating Monarchs. 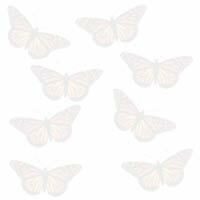 This graphic, together with its Spring counterpart, also appears on our "Fall and Spring Migration Patterns" large format poster.